Until now, the origin of Alexander Russell, who was one of five Covenanters executed outside of Edinburgh on 10 October, 1681, has remained buried in the historical sources. Russell lived near Forth Valley College aka. 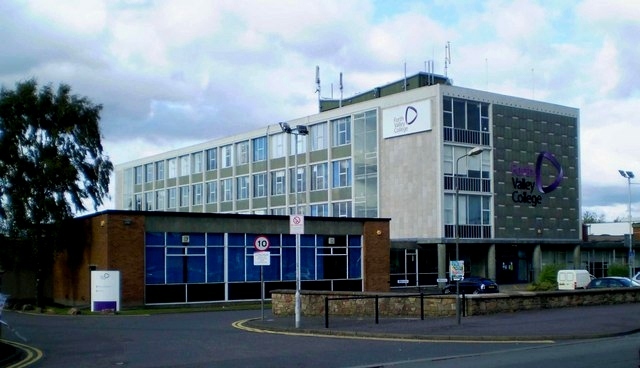 Falkirk Tech © Tom Sargent and licensed for reuse. However, according to the registers of the Privy Council, Russell was from Randiford in Falkirk parish, Stirlingshire. The farm of Randiford has vanished, but it lay a little to the north-east of Falkirk. Today the site lies close to Falkirk Stadium, the home of Falkirk FC, near the A904 where Thornhill Gardens meets Grangemouth Road and near Randyford Street. Beyond the street name, the site is unmarked. The area now lies in Falkirkshire, but in the seventeenth century lay in Stirlingshire. According to reports of his martyrs’ testimony, he had heard the Episcopal “curates” for fourteen years and lived a licentious life ‘keeping company with the profane, drinking, swearing, Sabbath-breaking, and reproaching the people of God.’ However, after he attended a field preaching, he was converted to the Presbyterian cause. ‘The case of Thomas Jarvey and Alexander Russell who have been apprehended for being at the Torwood conventicle and are content to live orderly and not goe to conventicles hereafter is remitted to the [Privy] Councill’. It appears that Russell had agreed to take the bond to live orderly and not go to conventicles at some point after his capture and prior to his initial appearance before the Council. However, Russell was either unable or unwilling to fulfil the conditions for his release and he continued in prison. Russell was executed at the Gallowlee outside of Edinburgh with James Stewart, David Farrie, Robert Garnock and Patrick Foreman on 10 October, 1681. A full account of the circumstances of their execution will follow in a later post. If you are in the area, a memorial drinking fountain to Sir John de Graham, who was killed in William Wallace’s defeat at Falkirk in 1298, lies nearby. ~ by drmarkjardine on November 1, 2011.